Prizm Art Fair is proud to announce exhibitors for the fair’s fourth edition. Spanning two weeks and coinciding with Miami Art Week, Prizm Art Fair will take place November 29 through December 11, 2016 at its new location: 7230 NW Miami CT in the Little Haiti / Little River community. The fourth edition will showcase over 40 artists from eight countries including: France, Haiti, Jamaica, Nigeria, St. Martin, and Trinidad and Tobago, split between two sections curated by fair Director and Founder Mikhaile Solomon and interdisciplinary artist William Cordova. Founded in 2013 by Mikhaile Solomon, Prizm Art Fair presents the work of international emerging artists with a select focus on solo presentations by African artists and artists from the Global African Diaspora who are traditionally unrepresented by galleries in the mainstream art world. The theme for the fourth edition will explore the global impact of Africa’s cultural DNA. Alonzo Davis, Alexandria Smith, Amber Robles-Gordon, Cleveland Dean, Cosmo Whyte, Delphine Diallo, Felandus Thames, Jamea Richmond-Edwards, James A Rush, Jayson Keeling, LaToya Hobbs, Marvin Toure, Maya Amina, Morel Doucet, Musa Hixson, Nadia Huggins, Nyugen Smith, Olalekan Jeyifous, Sharon Norwood, Shaunté Gates, Shawn Theodore, Sheena Rose, T. Eliott Mansa, Terry Boddie, Vickie Pierre, Wesley Clark, Wole Lagunju. Leslie Hewitt, Onyedika Chuke, Nyame Brown, Asoka Goto, Derrick Adams, Firelei Baez, Adriana Farmiga, Yanira Collado, Onajide Shabaka, Juana Valdes, Robert Pruitt, Stacy Lynn Waddell, Andrea Chung, Wayne Hodge, Rashawn Griffin, Carl Pope, Candida Alvares, Horton Humble. PRIZM is an annual art fair presentation that takes place over the course of two weeks coinciding with Miami Art Week and producing cultural events that run throughout the year. Founded by Mikhaile Solomon in 2013, Prizm’s mission is to expand the spectrum of exhibiting international artists from Africa and the African Diaspora, and emerging markets that connect to the African Diaspora and reflect global trends in contemporary art. In addition to engaging nationally and internationally, Prizm has a strong commitment to the local Miami cultural community. This goal can be seen in this year’s location in Little Haiti/ Little River bringing a wider audience to new and existing local art spaces. Through the fair and ongoing programming throughout the year, Prizm provides a space for cross cultural exchange, education and exhibition opportunities highlighting the work of African artists and artists of the African Diaspora who are often unrepresented by traditional galleries. Mikhaile Solomon was born and raised in Miami, Florida and is of Caribbean heritage. Her parents are from the island of St. Kitts – Nevis. She is a graduate of Florida International University’s Graduate program in Architecture and completed her undergraduate degree in Theatre Arts at the University of South Florida. She is a Miami New Leaders Council Fellow alumna, served as the 2016 New Leader’s Council Co-Chair and is currently a Connect Florida Fellow. In 2013, Mikhaile founded and currently serves as Director of Prizm Art Fair, a cutting-edge art fair that expands the spectrum of exhibiting international artists from the global African Diaspora and Emerging Markets during Art Basel Miami Beach. Prizm’s mission is to exhibit a diverse roster of artists whose works reflect global trends in contemporary art, through a series of cultural events which culminates in our annual curated fair. Prizm’s roster includes artists from the Caribbean, United States, and Africa. William Cordova is an interdisciplinary cultural practitioner born in Lima, Peru. Lives and works Lima/Miami/New York City. His work addresses the metaphysics of space and time and how objects change and perception changes when we move around in space. He received a BFA from The School of the Art Institute of Chicago,1996 and an MFA from Yale University, 2004. Cordova’s residencies include The Studio Museum in Harlem, Museum of Fine Arts in Houston's CORE/MFAH program, American Academy in Berlin. Awards include Guna S.Mudheim Visual Arts Fellowship (2013), Joan Mitchell Foundation Grant (2011), Art Matters Grant (2009), Rema Hort Mann Foundation (2005), South Florida Cultural Consortium (2001). Exhibitions include Venice Biennial (2003), Whitney Biennial (2008), Greater New York (2010), Havana Biennial (2015), Site Santa Biennial (2016) among many other international exhibitions. For inquiries, please contact Mikhaile Solomon at info@prizmartfair.com or 954-372-6241. For schedule of events and programming, please visit www.prizmartfair.com. True Food Kitchen, famed restaurant brand from Fox Restaurant Concepts founder Sam Fox and integrative medicine expert and author Dr. Andrew Weil, will open in downtown Chicago on November 22. Located at 1 W. Erie Street in Chicago’s River North neighborhood, the healthy-driven dining destination will make its Midwest debut with its flavor-forward fall menu featuring seasonally-inspired dishes and cocktails. A progressive restaurant concept with a menu rooted in the principles of Weil’s anti-inflammatory food pyramid, True Food Kitchen emphasizes wholesome, seasonal ingredients with simple preparations to highlight the natural health benefits and flavors of each ingredient. The brand’s culinary team, including Executive Chef Michael “Sully” Sullivan, will work closely with Dr. Weil to select and prepare nutrient-rich, anti-inflammatory foods that promote health and well-being. Chef Sullivan, previously based in True Food Kitchen’s headquarters in Phoenix, Ariz., has relocated to Chicago to oversee culinary execution, menu innovation and training and development of the store’s kitchen team. True Food Kitchen is the realization of entrepreneur and restaurant visionary Sam Fox, an eight-time James Beard Award nominee for Restaurateur of the Year, known for his passion for great food, hospitality, lifestyle and design. “This is an exciting time for Fox Restaurant Concepts as True Food Kitchen makes its debut in Chicago, one of the most exceptional dining destinations in the country,” said Fox. “We’re a restaurant brand that’s as passionate about healthy, seasonal, authentic fare as we are the local community, so we look forward to contributing to Chicago’s growing food culture,” said Fox. Open daily for lunch and dinner and weekend brunch, True Food Kitchen’s vibrant menu rotates regularly to let guests experience the season’s ripest ingredients at the peak of the freshness including a variety of gluten-free, naturally organic, vegetarian and vegan offerings. Notable mentions from True Food’s fall menu include: Seasonal vegetable starters such as the Charred Cauliflower, Chioggia Beet Bruschetta, Roasted Brussels Sprouts; Butternut Squash Pizza with smoked onion, almond ricotta, dried cranberry on a homemade rustic spelt and flax crust; Seasonal Ingredient Salad with Brussels sprouts, butternut squash, cauliflower, white bean, pomegranate and toasted mulberry; as well as a variety of bowl options featuring a diverse range of flavor profiles including the Ancient Grains, Spicy Panang Curry and Teriyaki Quinoa. Signature mainstay dishes include the Grass-fed Burger, Lasagna Bolognese, Spaghetti Squash Casserole, Sustainable Seabass and the Inside Out Quinoa Burger. True Food Kitchen also features antioxidant-packed desserts ranging from the seasonal Squash Pie and the famed Flourless Chocolate Cake to the wholesome Apple Goji Crisp and the Banana & Coconut Chia Seed Pudding. Behind the scratch bar are natural juices, teas, and refreshers which can be paired with organic and gluten-free spirits for delicious cocktails like the Autumn Orchard Sour, Fig Apple Ginger Mule, Citrus Skinny Margarita, Chamomile Cooler and Farmers Market Sangria. The restaurant offers a Kids Menu featuring creative, kid-friendly dishes like the Almond Butter, Banana & Apple Sandwich, Mozzarella & Organic Tomato Pizza and the Chicken Teriyaki Bowl to name a few. At 7,625 sq. ft., the new True Food Kitchen Chicago features a large open dining space including an open kitchen to bring guests closer to the kitchen’s craft, as well as a lively juice and cocktail bar featuring made-from-scratch cocktails using pressed, seasonal fruits and vegetables paired with organic spirits. The restaurant’s 480 sq. ft. of outdoor patio space will be utilized for additional seating in season. Indoors, natural woods and vibrant locally-inspired artwork add a contemporary touch to the earthy color scheme, natural elements and greenery, including indoor / outdoor garden basins filled with fresh herbs and spices. Eco-friendly materials are utilized throughout the restaurant, such as the hardwood floors, which are made of reclaimed wood, and dining chairs made of recycled soda bottles. The opening of True Food Kitchen in Chicago will mark the brand’s 16th restaurant in the U.S. and its first location in the Midwest, with additional locations in California, Arizona, Texas, Colorado, Georgia and Virginia. The restaurant brand will continue its growth in 2017 with plans for five new locations in Naples, Fla., Boca Raton, Fla., Bethesda, Md., King of Prussia, Pa., San Diego, Calif., Plano, Texas and Nashville, Tenn. Entrepreneur and restaurant visionary Sam Fox opened the first True Food Kitchen in Phoenix, Ariz. in 2008. 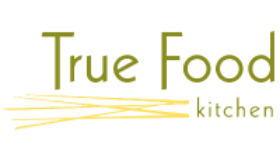 A progressive restaurant concept with a menu rooted in the principles of Dr. Andrew Weil’s anti-inflammatory diet, True Food Kitchen emphasizes wholesome, simple ingredients with simple preparations to highlight the natural health benefits and flavors of each ingredient. The innovative menu caters to a variety of preferences and diets and offers an array of delicious vegan, vegetarian and gluten-free options. Today, the restaurant has 15 locations throughout Arizona, California, Colorado, Texas, Georgia and Virginia with plans for a November 2016 opening in Chicago, Illinois. Each True Food Kitchen is designed to reflect the local character of the region in an upscale and sustainable environment. To learn more, visit www.truefoodkitchen.com or www.facebook.com/TrueFoodKitchen. A world-renowned leader and pioneer in the field of integrative medicine, Dr. Weil is a best-selling author and editorial director of DrWeil.com, the leading online resource for healthy living based on the philosophy of integrative medicine. Dr. Weil’s books include the national bestsellers: Spontaneous Healing; 8 Weeks to Optimum Health; Eating Well for Optimum Health; The Healthy Kitchen, and Healthy Aging. Dr. Weil is an internationally recognized expert for his views on leading a healthy lifestyle, his philosophy of healthy aging, and the future of medicine and health care. As a columnist for Prevention and TIME magazines and a frequent guest on Larry King Live, Oprah, and the Today Show, Dr. Weil provides valuable information and insight on how to incorporate conventional and complementary medicine practices in one’s life to optimize the body’s natural healing power. Fox Restaurant Concepts is a growing restaurant group today encompassing 16 unique concepts and 50 restaurants spanning nine states with more than 4,000 employees. Each concept strives to provide guests with a remarkable dining experience that will leave a lasting impression. Varying from contemporary upscale to fast casual and walkup retail, Fox Restaurant Concepts is dedicated to creating flavorful, fresh and innovative cuisine, and offers gracious service in stylish and comfortable settings. For more information, visit www.foxrc.com. The Patricia & Phillip Frost Art Museum at Florida International University, the Smithsonian Affiliate in Miami, announces a stellar lineup of new exhibitions, lectures and events for the 2016/2017 season. During Miami’s Art Basel week, the museum will premiere a series of prominent firsts, including three never-before-seen exhibitions originating in Miami at the Frost: Narciso Rodriguez: An Exercise in Minimalism (Oct. 16 – Jan. 8); Pierce, Mark, Morph (Oct. 22 - Feb. 12); and Drawing Line into Form: Works on Paper by Sculptors from the Collection of BNY Mellon (Oct. 22 - Jan. 15). Topping the marquee for the new year, the museum presents the Florida debut of Marking the Infinite: Contemporary Women Artists from Aboriginal Australia, works from the Collection of Debra and Dennis Scholl (Jan. 28 - May 7). Lectures and events include special guest Laurie Anderson for the Stephen and Dorothea Green Critics’ Lecture Series (on November 6); and the 13th annual Art Basel event Breakfast in the Park featuring sculptor Judy Pfaff (on the Sunday of Miami’s Art Basel week, December 4). “As audiences from all over the world converge upon Miami for Art Basel season, the new lineup of exhibitions and events at the Patricia & Phillip Frost Art Museum at Florida International University is a reflection of our interest in art globally: from New York to South America to Australia. This new season also marks our expanded curatorial perspective, with the inclusion of fashion now as a further expression of creativity,” said Dr. Jordana Pomeroy, the museum’s Director. Through January 8 and on view during Miami’s Art Basel Week. The exhibition Narciso Rodriguez: An Exercise in Minimalism is on view through January 8, 2017 and features more than 35 couture creations by one of America’s foremost fashion designers of the past two decades. The exhibition will be displayed in the museum’s Grand Galleries alongside works of art that showcase the influence of the visual arts on the designer’s work (including works by Carmen Herrera, Donald Judd, Jennifer Steinkamp, Lygia Clark, Mira Schendel, Antonio Llorens, Elena Asins and more). This is the first time a major museum has presented an exhibition by a living fashion designer during Miami’s Art Basel Week, creating a new type of gallery experience where viewers will be among the first to experience major artworks exhibited alongside these history-making fashions. Co-curated by Alex Gonzalez, the Creative Director of ELLE Magazine and Klaudio Rodriguez, Curator of the Frost Art Museum. Traces the timeless traditions of body modification. Pre-Columbian collection of sculptures (from the Jay I. Kislak Foundation) are featured within the galleries alongside works by contemporary artists who emphasize body piercings, markings and other corporeal transformations in their work (the contemporary artists are: Lauren Kalman, Carlos Martiel, Hiromi Moneyhun, Tatiana Pacero and Ceclia Paredes). Curated by Maryanna Ramirez, Manager of Strategic Initiatives at the Frost Art Museum. Opening reception is free and open to the public on Saturday, Oct. 22 (4:00-7:00 p.m.). This expansive collection features nearly 60 works by some of the art world’s most recognizable figures, including: Louise Bourgeois, Alexander Calder, Martin Creed, Mark DiSuveno, Anish Kapoor, Sol Lewitt, Maya Lin, Paul McCarthy, Henry Moore, Bruce Nauman, Ernesto Neto, Joel Shaprio, Kiki Smith, Rachel Whiteread and more. From six-foot long gouache tableaus to charcoal preparatory drawings and rough pencil sketches, these works illustrate the important role working on paper plays for sculptors in the creative process. Opening reception is free and open to the public on Saturday, Oct. 22 (4:00-7:00 p.m.). Laurie Anderson has astonished audiences for decades. Spanning music, film, performance, and the visual arts, Anderson’s work confronts politics, culture, and humanity. About the artist: Laurie Anderson is one of today’s premier performance artists. Known primarily for her multimedia presentations, she has cast herself in roles as varied as visual artist, composer, poet, photographer, filmmaker, electronics whiz, vocalist, and instrumentalist. Anderson has published six books. She has also written the entry for New York for the Encyclopedia Brittanica. Laurie Anderson’s visual work has been presented in major museums throughout the United States and Europe. Recognized worldwide as a groundbreaking leader in the use of technology in the arts, her awards include the 2001 Tenco Prize for Songwriting in San Remo, Italy and the 2001 Deutsche Schallplatten prize for Life On A String as well as grants from the Guggenheim Foundation and the National Endowment for the Arts. Since 1981, the Steven & Dorothea Green Critics’ Lecture Series has brought over 130 renowned artists, critics, curators and other art world luminaries to our South Florida community. These speakers have shaped art history through their scholarly, creative, and leadership contributions. They have inspired us to think critically, investigate further, and consider the discourses and practices that shape the world of art. An official Art Basel week event, draws hundreds of collectors, patrons, gallery owners, arts luminaries and artists from around the world, many of whom are visiting Miami for Art Basel. Each year a noted sculptor is invited to speak. Guests enjoy a complimentary outdoor breakfast, informal lecture and guided tours of Florida International University’s Sculpture Park and the exhibitions in the museum. Read more about the guest-lecturer, at JudyPfaffstudio.com. View the Sculpture Park’s artwork, located throughout the campus of Florida International University, here. About the artist: Judy Pfaff was born in London, England, in 1946. She received a BFA from Washington University, Saint Louis (1971), and an MFA from Yale University (1973). Recipient, Academy Member Fellowship, American Academy of Arts & Sciences (2013); Anonymous Was A Woman Award (2013); MacArthur Fellowship (2004); Guggenheim Fellowship (1983); National Endowment for the Arts grants (1979, 1986); member, American Academy of Arts and Letters. Commissions include Pennsylvania Convention Center Public Arts Projects, Philadelphia; large-scale site-specific sculpture, GTE Corporation, Irving, Texas; installation: vernacular abstraction, Wacoal, Tokyo, Japan; and set design, Brooklyn Academy of Music. Work in permanent collections of Museum of Modern Art; Whitney Museum of American Art; Brooklyn Museum of Art; Detroit Institute of Arts; others. Milton Avery Distinguished Professor of Art, Bard College (1989, 1991). Marking the Infinite: Contemporary Women Artists from Aboriginal Australia, Works from the Collection of Debra and Dennis Scholl (January 28 – May 7) ̶ Recent works by nine leading contemporary women artists from remote Aboriginal communities across Australia. Exhibiting Artists: Nonggirrnga Marawili, Wintjiya Napaltjarri, Yukultji Napangati, Angelina Pwerle, Lena Yarinkura, Gulumbu Yununpingu, Nyapanyapa Yunupingu, Carlene West, and Regina Pilawuk Wilson. Read more about this traveling exhibition at news.aboriginalartdirectory.com/2016/09/scholls-women.php. One of the largest free-standing art museums in Florida, the Patricia & Phillip Frost Art Museum at Florida International University was founded in 1977 and is the Smithsonian Affiliate in Miami. The museum’s new lakeside building debuted in 2008, designed by Yann Weymouth (the chief of design on the I.M. Pei Grand Louvre Project). With 46,000 square feet of energy efficient exhibition, storage, and programming space, the museum was honored with LEED silver certification. The museum’s mission is three-fold: to be a campus resource for the entire FIU community; to offer interdisciplinary training in the arts for the next generation of artists and art historians; and to serve as a premier cultural destination for the residents of Miami, and the 15 million visitors to one of the world’s most vibrant cultural destinations - home to global cultural events including Art Basel. The Frost offers programming that complements its exhibitions with a wide range of educational initiatives. The Steven and Dorothea Green Critics' Lecture Series has featured internationally renowned speakers including: Christo, Susan Sontag, Frank Stella, Helen Frankenthaler, John Cage and Marina Abramović. The Kenan-Flagler Family Discovery Gallery serves as an innovative programming space that encourages children’s involvement in art through hands-on exploration. Admission to the museum is always free. The Frost is accredited by the American Alliance of Museums, and is located at 10975 SW 17 Street. Open Tuesday-Saturday 10:00 a.m.- 5:00 p.m., and Sunday noon-5:00 p.m. Closed on Mondays and most legal holidays. The Sculpture Park is open every day. More information at frost.fiu.edu or 305-348-2890. Scammed by a buyer on ebay! As many of my friends,colleagues and readers know,I’ve been a professional photographer in the media for more than 3 decades and for the past several years I’ve shuffled between my go to Nikon full frame camera system and the Sony full frame system. I loved both for their quality but after a huge investment into Sony,sadly I discovered the system wasn’t for me. I posted all of my Sony gear for sale on ebay which included the Sony A7RMII,Sony A7s,Sony A6000,lenses and flash units. My tears were included with all transactions. Sony is great,but I do more action and candid events and a pro DSLR at this time fares better for the speed,battery life, lens and flash selection. My last Sony item to sell was the camera to flash cable.In this instance it was the Sony MIS cable from Vello. I’ve used Vello cords for my Nikon gear and my quick slide to Canon gear for many years. They are just as reliable as the main brand at a fraction of the cost.I purchased this cable from B&H Photo where my receipt clearly states what camera brand it was for and the name of the item. I photographed the box with the Sony Vello cord removed the cable from the box to show potential buyers that this wasn’t a normal flash to camera connection like other cables.Sony had a proprietary hot shoe that has electronics at the tip that goes into the hot shoe part of the cable. I shot o my auction photos on my Nikon DSLR in RAW mode,converted to jpeg to post on ebay.You can clearly see the cable says SONY MIS. This is the same photo that was on ebay. The cable sold within a day or two of listing and I inspected the cord before I put it back the Vello box and a shipping box to send to a buyer in Texas. I was surprised to hear from the buyer several days after he would have received the cable that he said I sent him a Vivitar/Pentax cord. The photo he posted to me in email alongside my VELLO/Sony box probably could not even fit in that small product box. Another Pentax footnote is, I’ve never used anything Pentax.Until their recent jaunt into a way too heavy for me full frame system,Pentax doesn’t offer the pro line of lenses and flash units that I require so they would not be on my radar for purchase. I noticed on my company web stats that someone from his area was googling me and landing on my company website. Though my company name sounds big,guess what,I’m all automated online and it’s just me here.No one else from this location or state.My companies are all online and need no babysitting from me. Upon receiving the buyers email I knew right away I was being scammed. Just google ebay buyer scam or read the Facebook ebay Timeline where others have posted the exact same scenario. I corresponded back and forth with the buyer and the more he wrote,the more he put his foot in his mouth. In one email he stated,” I tried this cord on my Pentax camera.” SEE! HE HAS A PENTAX CAMERA and I’m sure he planned to mail me HIS broken cord that he owns back to me. In another email he stated,” Someone in my company organization could have switched it out.” GUESS WHAT,there are no somebody’s here that work with me. I asked a detective friend of mine about this situation and he knew immediately I was being scammed and even wanted to call his buddies in the town where the buyer was at to see if he has a criminal past. My friends in tv news are also interested in this and have requested I do an interview and they will do a story on this. A buyer purchases an item and claims it’s broken or baits and switches to one of their broken items.They file an ebay claim stating it’s broken or they received the wrong item. Ebay makes the seller refund the money within 7 days and in many cases,the buyer gets to keep YOUR item. Google,’ebay buyer scam’ and you will see more than 535,000 references to this. In recent years ebay has changed their leadership and rules making it very difficult for sellers to sell there.Reports of authentic high end designer items being sold to where a buyer later claims the item was a fake and gets a complete refund and returns a fake knock off item or doesn’t return the item at all and still gets a refund. The day that I received the request from the buyer about this item,I called ebay and spoke with Hannah. She said it was ebay’s policy to refund the buyer. I have been a member of ebay since December 1998. My feedback score is 1742 with 100% positive 5 star feedback.I have sold items for as high as $2500 and have never had a request for a return.I’ve bought and sold at least 6 figures on ebay and ebay has made a tidy profit from my account. I have been on the buyer end where something was not as described or broken and have returned the items to the sellers without incident. I’ve never had a bait and switch incident. I try and do my homework when purchasing and considering how many things I’ve transacted it’s not been that bad. I do not make a living from ebay nor would I want to.The time it takes to list,photograph the items and going to the Post Office is really too much of a field trip and I lose money by not concentrating on my main businesses of photography and publishing. Sales from ebay have dropped off so much in the past 7 years for so many it’s not really worth it for me.All of my items were my photo equipment I sold or things around the house.I am not a distributor or reseller of anything. After this incident I realized I am no longer going to be a buyer or seller on ebay and to practice what I often preach,’Buy Local’ or thru the Facebook for sale ads which seem a bit safer than Craigslist. This was not an expensive item and of course I have the money to refund the buyer but I will let ebay handle it because I know I will just receive back a Pentax cable that was never mine,is most likely broken and something I could not even test because I do not own Pentax equipment. Just wanted to inform others that being scammed on ebay or other sites can happen to anyone at anytime.Buyer and seller beware!